In 26th of January 1950 Indian Constitution, that was adopted two months before, came into effect and since that time 26th of January is a day of celebration of freedom and movement forward. Now India is one of the biggest and greatest countries in all meanings, It has a lot to show and teach other nations. Traditionally, The Embassy of India in Ukraine organizes the celebration of this important event. 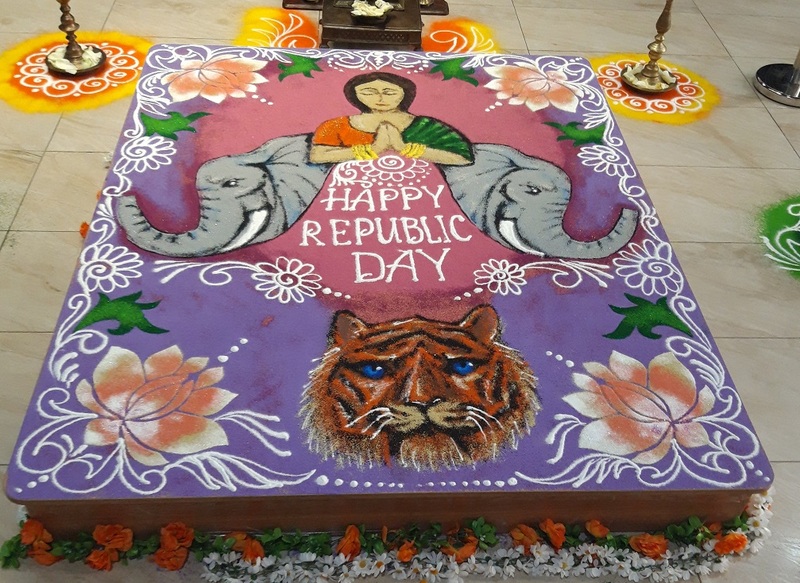 This year event was dedicated to the 70th Republic Day of India and the celebration was respectable. Newly appointed Ambassador His Excellency Mr. Partha Satpathy made all guests of the event experience Indian rich culture, heritage, and diversity, in one hand, and in the other – to see the powerful economy, modern society and innovative projects for the future. 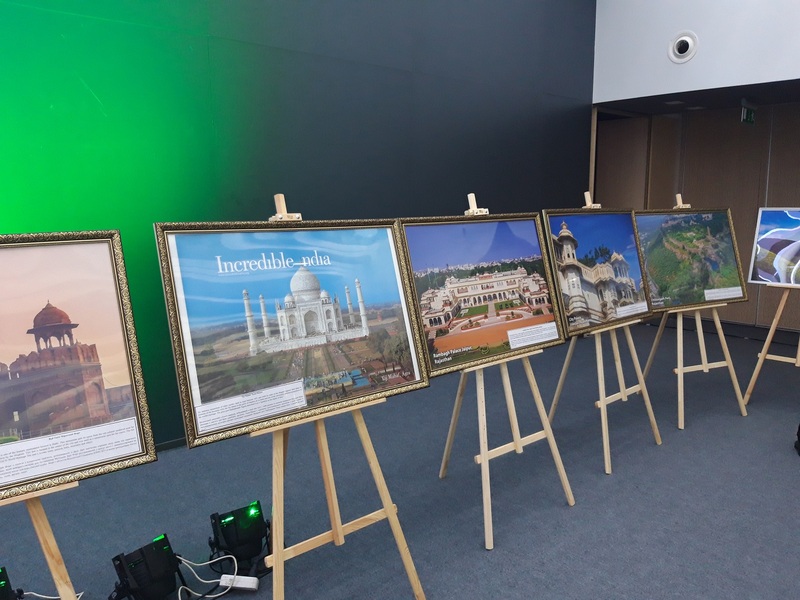 Numerous guests, represented by diplomats, businessman, people of culture, journalists and others were enjoying of Exhibition on Heritage of India, incredible performances of traditional Indian dances and songs and delicious Indian cuisine dinner. Even the Ambassador himself, in his speech (performing a song about friendship), managed to show how gifted could be officials of such high and serious rank in India. I wish we had the same in Ukraine. The way that country has covered in this 70 years and the progress reached is truly impressive. Even statistics for the period of last five years is causing jealous of a big number of countries. Today, the economy of India is estimated 2.4 trillion USD, GDP growth in 2017-2018 made up 6.75%. Today, India is a country of possibilities for the youth, by 2020 the average age of the population in India will be 29 years, which makes it the “youngest” country in the world. The workforce is traditionally strong side of India and now is 47 million positive, comparing to a deficit of 10 million in China and 17 million in the USA. A big number of improvements is made in the direction toward the investors, “Invest India” center was created to support and accompany business during the whole circle of its work. It is planned to create around 100 million new workplaces by 2022. By basic profitability indicator, India seats first place in the world, China – 65, the USA – 50. Today biggest investing countries are Singapore, Japan, Great Britain, Netherland, USA, Germany, and France. Big attention is drawn to infrastructure. Over 100 smart cities are about to appear in India by modernizing a rebuilding existing. Investments to the project “The mission of a smart city” in the period 2016-2019 are exceeding 15 billion USD. Huge infrastructural initiatives and real projects are called to improve transport infrastructure dramatically: bridges Bogibeel, Mumbai Trans Harbour Link, railway within project Setu Bharatam, roads within projects Bharatmala and Chardham-Highway project. Renewable sources of energy are the objects of big interest these days all over the world and India is moving with time. Potential of RSE in India is estimated over 1096 GigaWatt, which is truly impressive. The country has national projects in every direction of RSE: sun, wind, bioenergy, micro-hydroelectric station. Within the following 7 years, the number of investments will be over 100 billion USD. Today India has 9th biggest civil aviation market in the world, the size of it is over 16 billion USD, and the growth is so rapid that by 2020 the country will occupy third place. Number steps taken by the Government are called to improve infrastructure, increase the number of planes by 920 (by 2025), and intensify presence of Indian companies in the international market. Pharmaceutics, biotechnologies, information technologies, research, and development – these are not all of the sectors where India has leading positions, in the same time these directions are a great field for cooperation between our two countries. 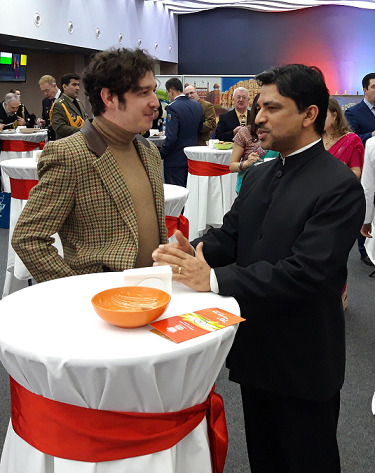 Embassy of India in Ukraine keeps the level of bilateral communications and relations on a high level which gives us a hope of real results in the future.